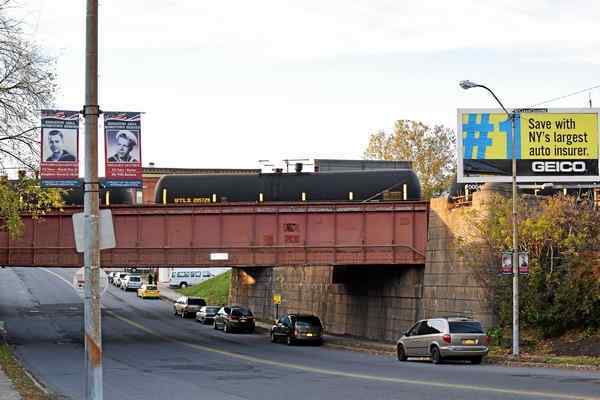 Daily Freeman: Environmental advocacy group Scenic Hudson is cheering a decision by an oil transportation company to scale back its crude oil shipping plans on the Hudson River and rail system. Massachusetts-based Global Partners said earlier this week it would scale back a permit that allows it to increase the amount of tar sands crude oil from 450 million gallons to 2.2 billion gallons annually. The move was announced earlier this week based on information provided from the state Department of Environmental Conservation to opponents, but a public document was not immediately available Thursday. “We need to await Global’s permit modification application to DEC to see the exact numbers, but what they stated was they would be significantly scaling back their currently allowed crude oil output and that they would be withdrawing their application to handle the heavy tar sands product at their Albany terminal,” said Hayley Carlock, Scenic Hudson’s environmental advocacy director. Read more.